Do note the game no longer works at all without modifications. This is most likely due to the game's servers being shut down. As a result, further official developments with the game are unlikely to happen. 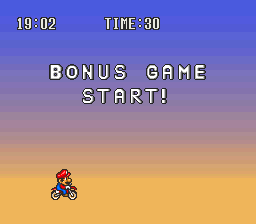 BS Excitebike Bunbun Mario Battle Stadium is a redone VS. Excitebike, released three years before Excitebike 64. 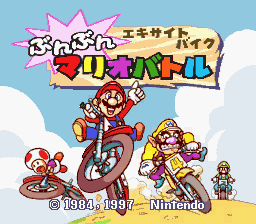 Aside from being the sole 16-bit entry in the series, it is also the only one thus far to involve Mario characters (using soundbites from, appropriately, Mario Kart 64). Here we go! A total of four installments were produced, offering different advertisements and Soundlink voiceovers. The last two installments include Peach, Yoshi, and Wario as playable characters. Rip all unused sounds, jingles, and unused character voice samples. Yoshi and Peach are not present in Stadium 1 or Stadium 2, although their voice samples are. They can be accessed via the code 0C1401?? in all versions. The code 0080E508 will start the game in a placeholder bonus level. This page was last modified on 12 February 2019, at 09:36.